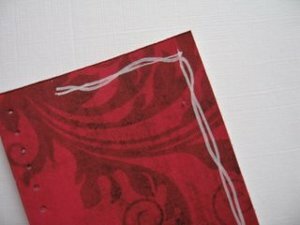 Add faux stitching to your cards, when you don't have time to do the real thing. fun to do, easy to add. Create a faux stitching effect when rub on stitches won't do... and the machine is in the attic! 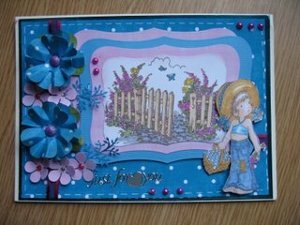 This pretty card has used the technique around the outer edge, and the effect adds a finishing touch to the design. 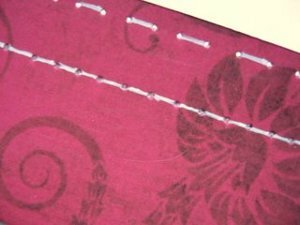 It is quite easily achieved if you have a sewing machine, but not everybody does...or maybe you just can't be bothered to get it out for one small project. This is me I must admit...so for me the easiest option is ...the faux stitch effect. 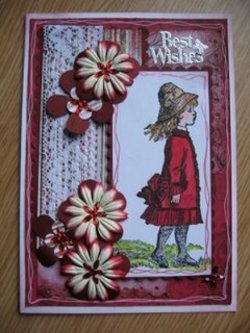 It is best to do this before you start to mat and layer your papers, and add them to your cards. 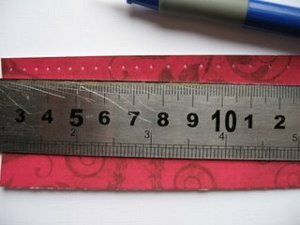 I start the technique with a pricking tool and a metal ruler and I make equally spaced holes along the edge. This gives an authentic look, as if the stitches have pierced the paper. It doesn't matter if they are unevenly spaced, it all adds to the charm. Each of the holes can be joined up, with the color you have chosen for your stitches, or you can join every other one for a different look. The photo shows how both options will look. And because of the pricked out holes it looks as if the stitches are for real. Here is another way to do the stitches, and that is to use a dot and dash line instead. 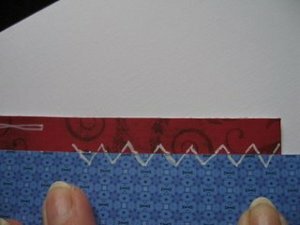 Maybe you want to create a patchwork on your cards with all your left over pieces of paper...well why not join them with a zig-zag stitch for an unusual effect. 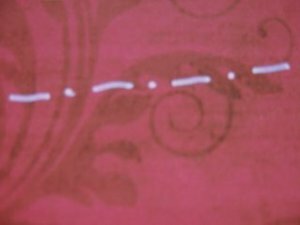 Or try this alternative, and just doodle a line around the edge and then go around again, weaving the second line around the first. This looks particularly good when done with a gold or silver pen. The inner panel has been done in a Sakura glitter pen to match the color scheme. I hope you enjoy adding this to your cards for another way to finish them off. 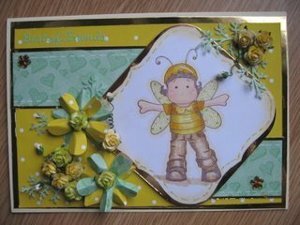 The faux stitching can be added to the edges of flowers to define the petals. In fact try it on many of your projects to see if you like it. You can always discard it if it's not for you. Practise the stitches first before you start on the good stuff.